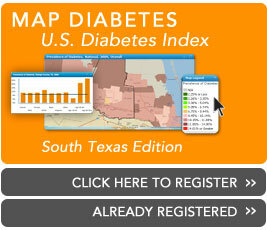 Diabetes South Texas Staff | National Minority Quality Forum, Inc. OBJECTIVE Not all individuals with type 2 diabetes and high coronary artery calcified plaque (CAC) experience the same risk for adverse outcomes. This study examined a subset of high-risk individuals based on CAC >1,000 mg (using a total mass score) and evaluated whether differences in a range of modifiable cardiovascular disease (CVD) risk factors provided further insights into risk for mortality. Importance Type 2 diabetes mellitus is common, and treatment to correct blood glucose levels is standard. However, treatment burden starts years before treatment benefits accrue. Because guidelines often ignore treatment burden, many patients with diabetes may be overtreated. Objective To examine how treatment burden affects the benefits of intensive vs moderate glycemic control in patients with type 2 diabetes. OBJECTIVE To compare the relationship between adiposity and prevalent diabetes across ethnic groups in the UK Biobank cohort and to derive ethnic-specific obesity cutoffs that equate to those developed on white populations in terms of diabetes prevalence. OBJECTIVE To determine whether dietary patterns associated with food insecurity are associated with poor longitudinal glycemic control.